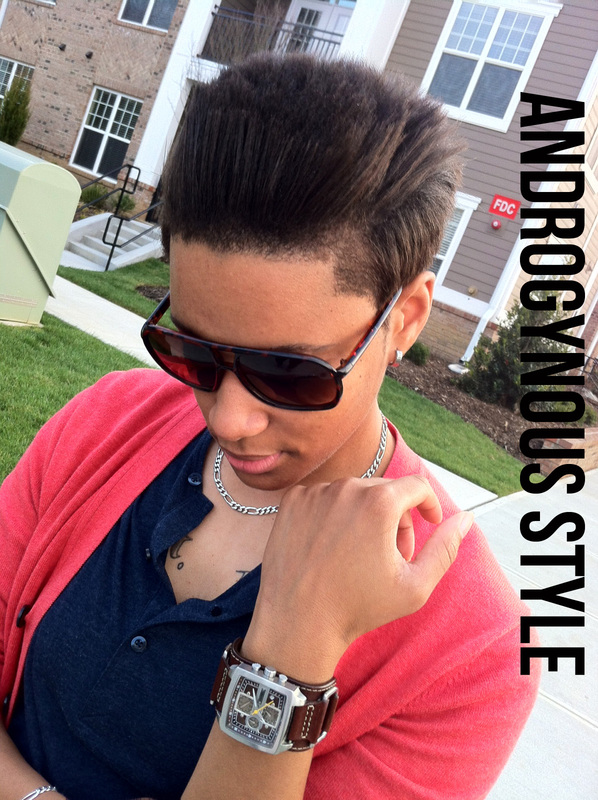 Androgynous Style: Style Saturday: Spring is Here! Style Saturday: Spring is Here! Today was a very eventful day for me, and it actually felt like spring! I wanted to wear something comfortable, yet stylish and appropriate for the spring season. 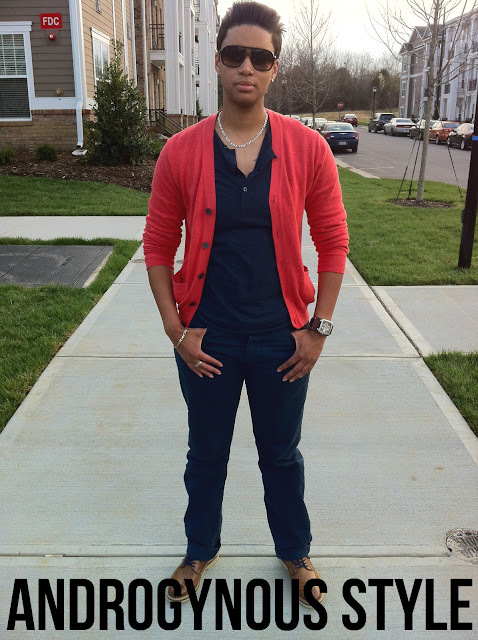 When transitioning from winter to spring it's easy to mix and match the "basics" in your closet. I kept a neutral and monochromatic foundation. Yes, I consider navy to be a neutral! Below, I have on a simple cotton button-up t-shirt and chinos as my foundation. My 1901 wingtips have been a staple for me all year. Even though it's warming up, it's still important to cover up during the season change. I threw on my coral cardigan, it's lightweight and perfect compliment to my navy foundation. 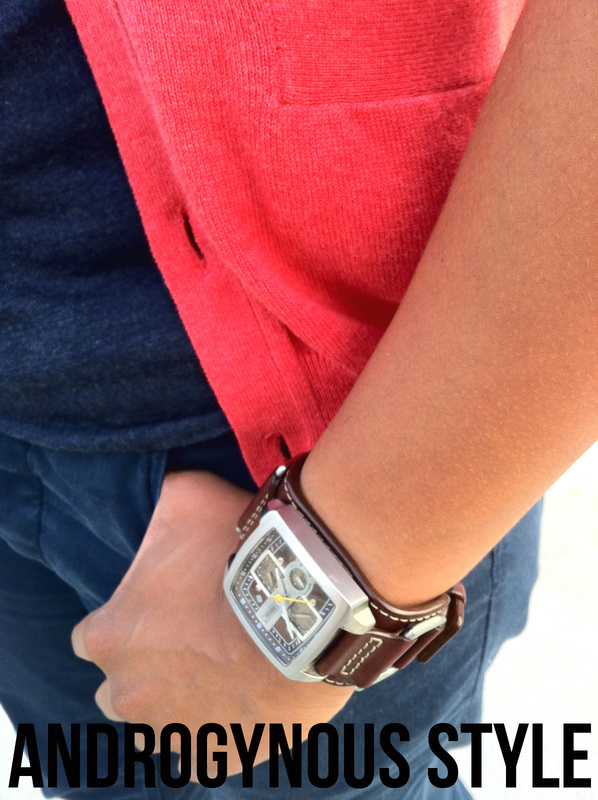 I accessorized with one of my favorite Fossil watches and tortoise shell sunglasses. Easy, simple, and comfortable. 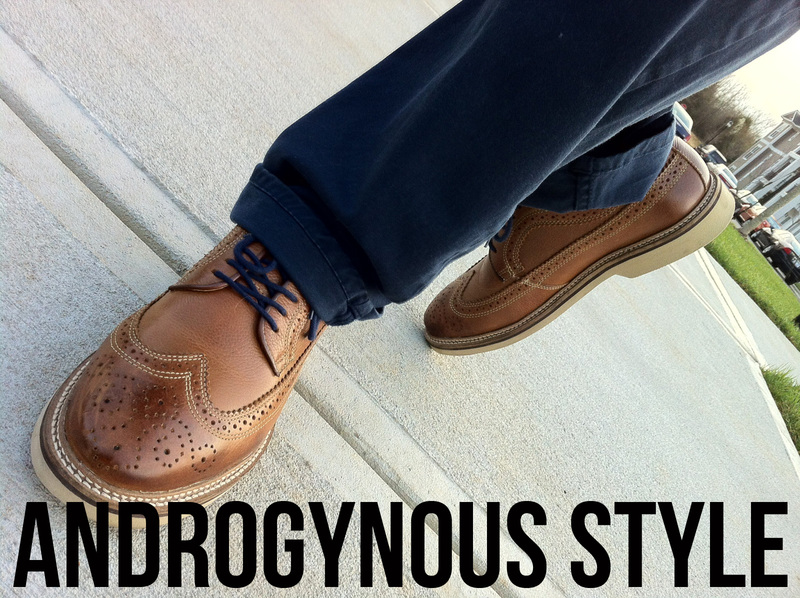 Happy Style Saturday! Hope everyone has a great Easter weekend.